Video is the most effective way to convey information in the form of advertising spots, company profiles or product presentations. Until now, producing and managing video content has been expensive and complicated, so currently it is larger businesses in particular that take advantage of the opportunities that video offers. 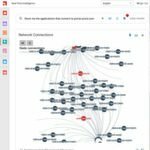 stream5 and infotainweb have now joined forces to tackle this issue. Their new all-in-one video solution provides the full range of services, from production to distribution, from a single source. Professional video marketing has never been so easy and affordable. To help customers get started quickly in the world of web video, two full-service packages are available: the STARTER package for €1,990 and the PROFESSIONAL package for €3,590. Both packages offer a standardized route to a professional-quality video presence in three steps: producing the video, setting up a video management system, and integrating a video player into the customer's existing web presence. The video production component includes everything from on-location production consulting to editing to adding the soundtrack. The main difference between the STARTER and PROFESSIONAL packages is in video duration and estimated production time. The STARTER package results in a 30-second video, while the PROFESSIONAL package results in a 60-second video plus a recorded interview. These packages are designed for producing short company profiles and presentations in video form – the perfect way to create a dynamic impression on your website. 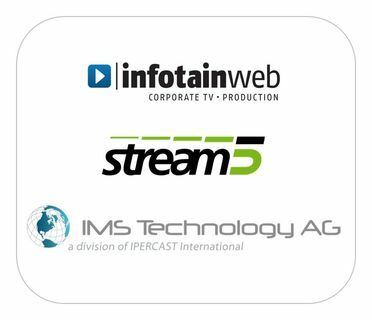 stream5 takes care of integrating the video into the website and guarantees efficient content delivery worldwide. All services can be flexibly tailored or expanded in scope to meet the customer's requirements. Video is a particularly effective medium in many areas. Corporate image videos, customer testimonials, product presentations or management commentaries – short videos on a company's website are very persuasive and convey a high degree of credibility. "Until now, having your own video presentation was the preserve of TV stations and large corporations. Our all-in-one video solution enables small and medium-sized businesses to do likewise," says Stefan Huber, head of sales and marketing at infotainweb. Christoph Hölzlwimmer, CEO of stream5, concurs: "Many marketing budgets are already being spent on web videos. Our affordable full-service packages offer smaller businesses especially the chance to do the same as large companies and organisations." For more information on all-in-one video solutions and sample videos, please visit www.stream5.tv/full-service. infotainweb AG specialises in Web video productions and Web TV consulting. The firm draws on a network of more than 250 professional video producers in Germany, Austria and Switzerland to produce PR videos, editorial articles, image videos, online clips, viral clips, live broadcasts and trade fair TV. In addition, infotainweb AG offers consulting services for renowned customers on the development of expertise in the motion picture sector and the creation of business models. infotainweb's clientele of more than 50 firms includes Bild, Focus, Stern, Welt, Süddeutsche Zeitung, Zeit, Blick, Schweizer Illustrierte, Werben & Verkaufen, news aktuell, Fonic, Monster, Ketchum, Sparda-Bank and Tourismusverband Ostbayern (East Bavarian Tourist Board).